Hello everyone, I made a new scenario for Halloween. It has a custom palette which is very dark but highlights everything which is orange or yellow. Also, the water is a dark red color. All rides are invented at the start of the game. All land outside the middle island can be bought. Can you get 1500 guests in the park within 3 years? Yes it does, but it may be too dark if you don't use the standard theme. Also I'd recommend to turn off day/night cycle. 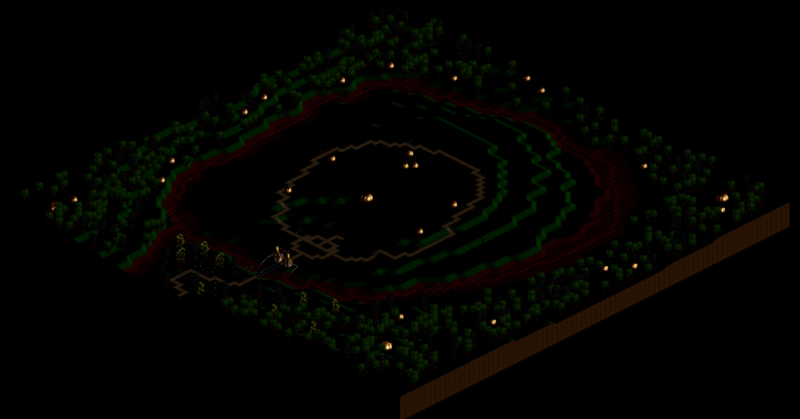 Just copy the file to your scenario folder in the openrct2 folder.